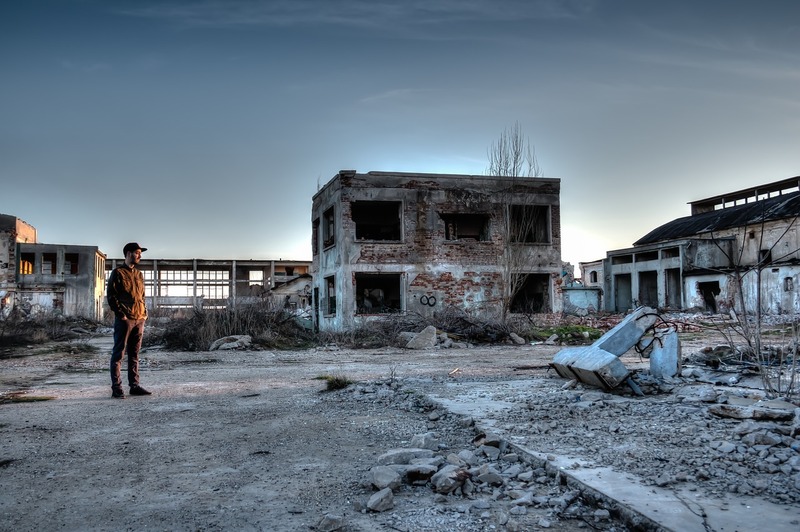 The Survivalist, the Prepper and the Clueless – Which are you? Last article we talked about how to survive and thrive in all environments and situations. We looked at the differences between prepping for those living in urban environments, and those living in rural areas. The contrast was also made between how people must change their preparation and survival tools and tactics depending on where they live. It doesn’t matter if you live in Canada, Australia, Ireland, Oregon or Germany, among other states or countries. It doesn’t matter if you live in the mountains, in the desert, in cold regions, or the tropics, there will always be extreme situations we must prepare for in order to survive and thrive. We also talked about philosophy and religion in the sense of how people view life and expectations of divine intervention, or in some cases, those that primarily prepare for the most severe and extreme scenarios that may emerge. I bring this up in detail because many will base their preparation, or lack of preparation, based upon personal beliefs associated the end times or last days, in the case of Christians, or for others, those that look to teotwawki scenarios. Both of those are detrimental because they are either escapism, or preparing in such a way as to miss building up the resources or provisions needed to endure short-term circumstances that are most likely to occur in real life. For example, there have been a couple of times when my family had to go through prolonged periods of time without electricity in the winter months. That came from ice storms where the weight of the ice on power lines caused them to collapse. Since we lived in the country, those in our area were among the last to have power restored because the cities are the first priority for responders. We were without heat for 10 days a couple of times. In those cases, because I foresaw the probability of that happening, we were able to go through it, considering it more of a challenge and adventure, than a risk to our lives. Why that was the case was because we had a wood burning stove in the house, and were able to heat and cook on it. Since it happened in winter, we didn’t lose any food because we kept the portion of the house with the freezer and refrigerator cool; we didn’t allow the heat from the wood stove to go to those areas. If I actually believed the end of the world was near, we may not have taken steps to protect against the probability of the power going out for a prolonged period of time, because we didn’t believe we’d be on the earth to have to endure it. Some even believe it’s a lack of faith to prepare for such things. 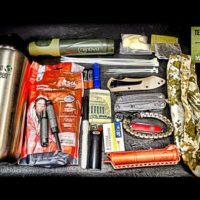 I want to talk a little about the difference between a survivalist and a prepper. 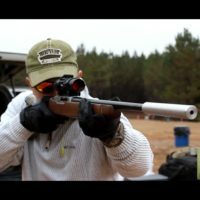 Survivalists, in general, tend to prepare for the most extreme scenarios that may emerge, with a major emphasis on self-defense. Many times they’re individual males, or in some cases, a man and woman that are rugged and very familiar with the outdoors and how to live and adapt to various situations. Usually survivalists will engage in diy survival, and include diy survival gear. They will buy things they need, but also have the ability to build or design their own survival tools and shelters if they have to. They tend to think in terms of being doomsday preppers, and in many cases have military survival skills. Survival life hacks are a way of living for them because it’s how they were raised and lived when they were growing up. One area that I relate to in that regard is in survival fishing. My dad was an expert fisherman, and since I really enjoyed it, I spent a lot of time on lakes fishing and learning from him. At about 15 years old, on the types of lakes I learned on, I could outfish most adult men. The point is survivalists, by nuture and upbringing, look more at extremes than preppers do. At times this can be a weakness for some because they can have gaps in their bug out bags or bug out locations. In general, preppers on the other hand usually focus on events that are most likely to happen, rather than extreme situations. Most of the time they will have means of self-defense at their disposal, but they also have a solid source of food and water to meet most emergencies that will happen. They’ll tend to rely more on supplies, rather than overall skills that a survivalists has. They engage in survival and preparedness learning and training, but they have to work at it because they never grew up that way. For them, a basic survival guide is more relevant to the way they prepare for a disaster. They’ll look more to essential survival supplies, rather than curate their information from some scam survivalist blog that only exists to make money. They will tend to build a basic survival prepping checklist or outdoor survival kit list, which will have general emergency prep supplies that will usually include camping and hiking equipment and necessities. Normally they’ll learn wilderness survival essentials, have a bug out bag will include earthquake survival supplies, or whatever prepper or survival gear is needed for the region they live in. 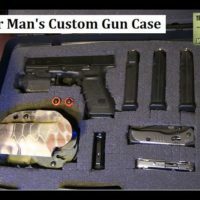 This are more like the practical prepper ready for most short-term, everyday emergencies, rather than the survivalist that considers many more scenarios that the prepper doesn’t think of. They’ll have an outdoor survival kit list they will put together, and than usually will buy the essential survival supplies they need. So when considering a survivalist vs prepper, the main difference is in how they view the potential emergencies and threats they could face. Survivalists will usually have far more diy skills and ways to adapt to situations and emergencies, while preppers will normally buy what they need to deal with potential disasters and short-term disruptions to their lives. Whether a person is prepping from a religious viewpoint of life or a secular one, the consequences of how they view life is important. For Christians they may have a Christian preppers network to tie into in cases of emergencies, including but not limited to a specific church they go to. A growing number if Christians believe they’re a made a new creation, a new person in christ, and that old things will pass away, and are passing away. As it relates to prepping and survival, they have a more realistic and positive view of the future, and aren’t looking to escape what comes their way, but are prepared to meet it. In the secular realm the same tensions are in view. There are those that believe all sorts of conspiracy theories, and prepare to meet almost everyone they conjure up in their minds. The problem there is there is no way anyone can think of everything. To me, the best thing to do is make sure we prepared for the most likely of disasters, and then be prepared to adapt to any situation that comes that we didn’t specifically prepare for. Most disasters or emergencies that come are solved by a few things to prepare for. We need enough food and water if problems last longer than expected, and we need the means of protection if other people try to steal from us or do us harm. Most, if not all challenges we face will include those things. We of course should also have some basic medical knowledge and supplies if the situation arises where going to a hospital or other medical facility is impossible. For most of us, the best thing to do is take the preparedness route, in which we focus on the highest probabilities of a disaster, and prepare for them. Yes, there could be a nuclear strike somewhere, or possibly, a major EMP attack that shut a lot of things down. If things got so bad the world is really at an end, or the damage done is across huge swaths of a geographic area, very few would survive anyhow. I don’t believe that will in any way happen, so I prepare for what is based more on high probability, rather than creative scenarios that some think they’re wise in indentifying and preparing for, but are very unlikely to happen. I’m not suggesting if you believe they could happen that you shouldn’t prepare for them, only that for most of those reading this, it’s more beneficial and realistic to prepare for disasters that can be handled in the short term. Most people aren’t the do it yourself (diy) types in most things. They won’t be able to be the survivalist individual or family that has been trained in those ways for most of their lives. They’ll be the family that prepares for short-term emergencies that most people can prepare for. Finally, we shouldn’t be the type that are clueless and ignore the reality that something could happen that is disruptive to daily living, and which we need to have resources available to deal with them.